I was going to call this post “More of the Same Part 2″…but then I was afraid no one would read it. So instead I came up with another equally lame title. Whatever. You have no idea how difficult it can be to come up with blog post titles. I know, life is hard right? 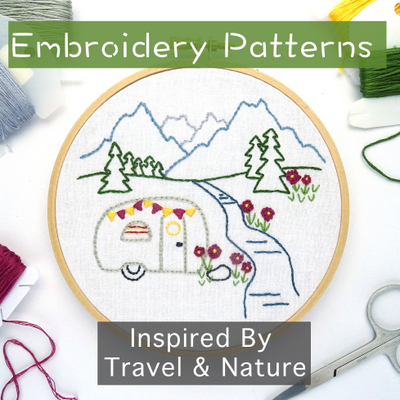 The truth is though, that this post really is more of the same because we are still here in our super scenic, super entertaining, and super free (!) 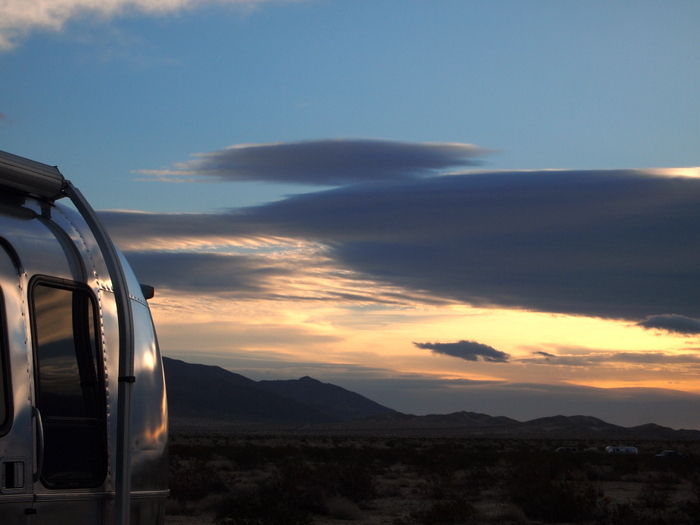 spot near the Clark Dry Lake in Borrego Springs. Today marks our 17th day here. We plan to stay until the end of the week which will officially make it our longest stay in one place. Even after three full weeks we won’t even have come close to seeing and experiencing all that this area has to offer. We’re putting in our best effort though and have been hiking mountains, driving dirt roads, and walking through canyons. We even made it up the mountain in our backyard that we have been talking about climbing since we first arrived. 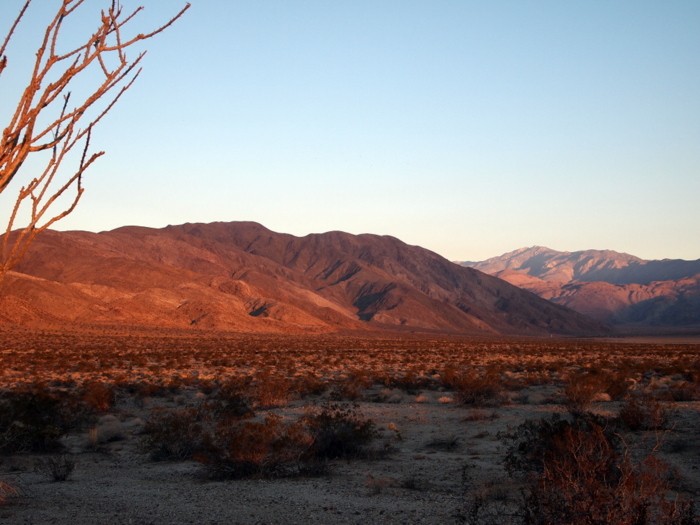 Coyote Mountain rises almost 3200 feet high and is a popular hike among visitors. 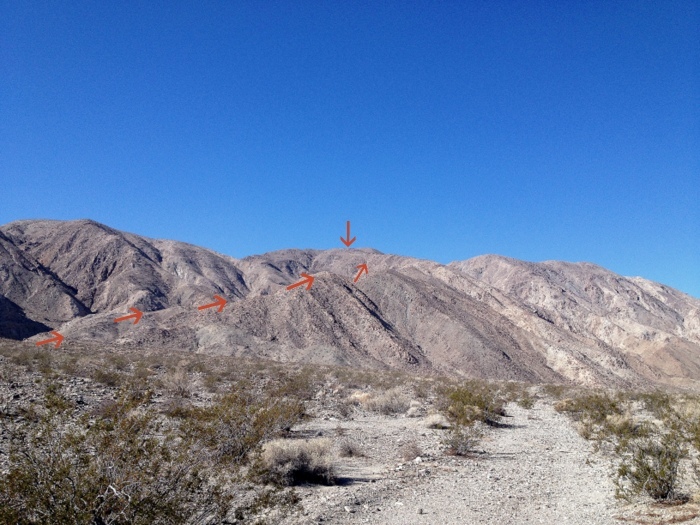 There are several trails to the top ranging in both distance and steepness. 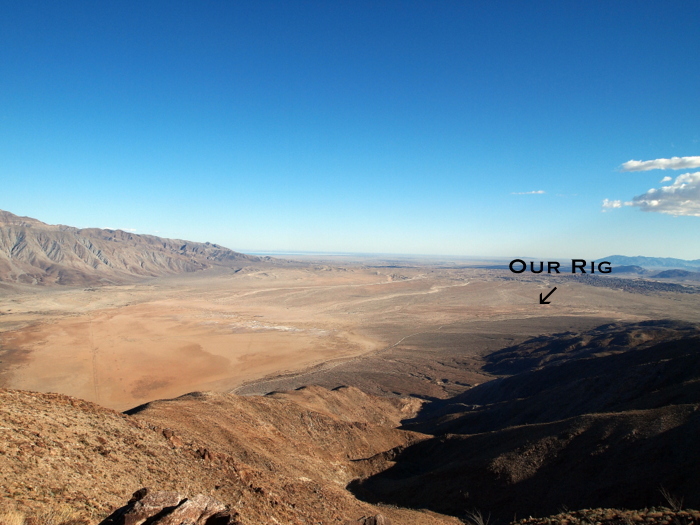 We chose the shortest and steepest route along the southwest ridge. The description we found online of this route claims that it’s 4.5 miles up and back, but according to the GPS on my phone it’s actually closer to 6 miles…and it is pretty much straight up for a good portion of the trail. It didn’t look that steep until we actually started climbing. Of course our perception could be influenced by the fact that we have done very little uphill hiking in the past month or so. 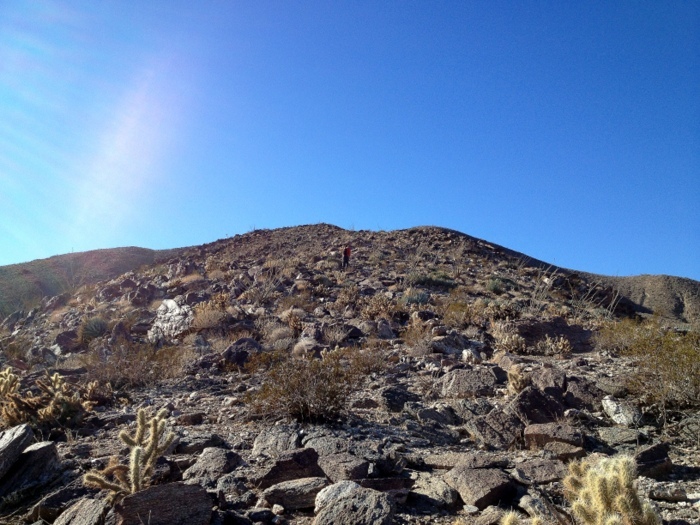 Lots of desert walks and beach strolls, but not much in the way of mountain climbing. It was worth it though. After we made it up the first few ridges covered with jagged loose rocks, the landscape began to fill with interesting desert foliage and the view got better and better the higher we climbed. 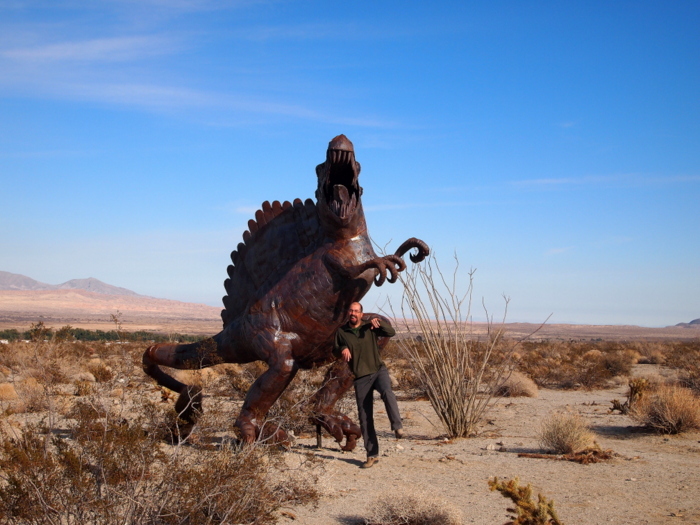 We’ve also spent some more time exploring the lower depths of Anza-Borrego. 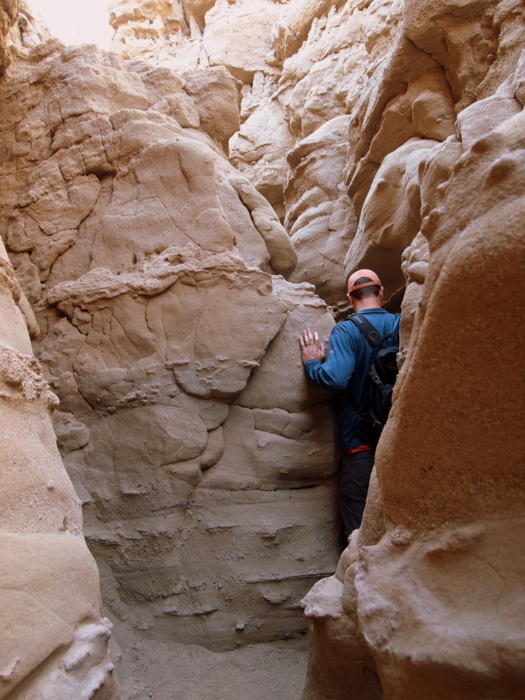 Despite two separate trips to the slot canyons near the Calcite mines, we couldn’t resist another slot canyon hike. 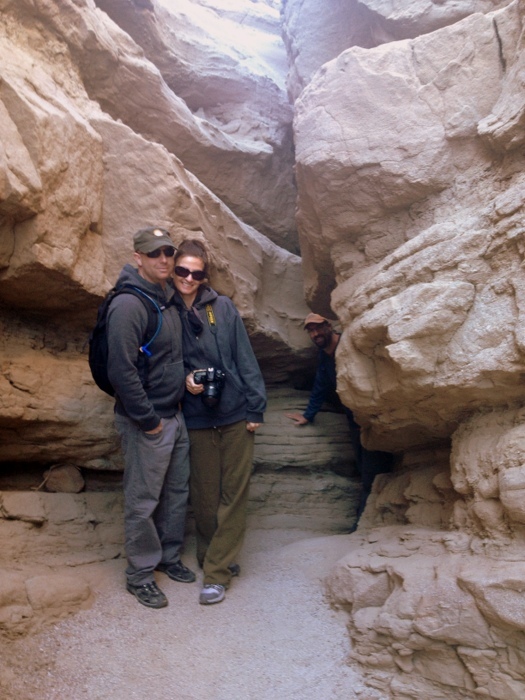 This time we went south of town to the area simply called “The Slot” It’s a very popular, short trek through a narrow twisting canyon. 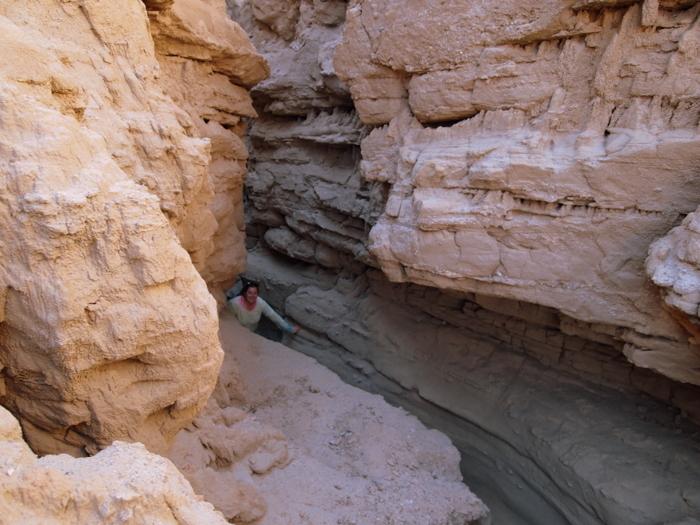 Similar to the slot canyons near the Calcite mine these water sculpted wonders of nature are great fun to wander through. In addition to all our exploring on foot, we’ve also done some back road driving through the park. 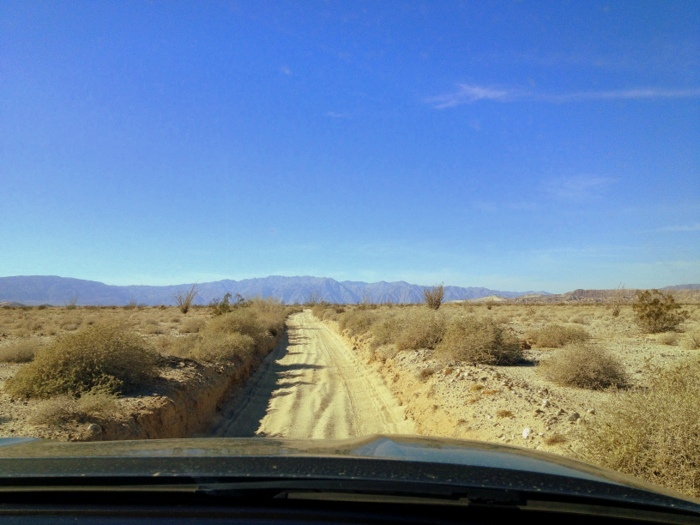 I think I mentioned in an earlier post that Anza-Borrego state park contains around 500 miles of dirt roads! 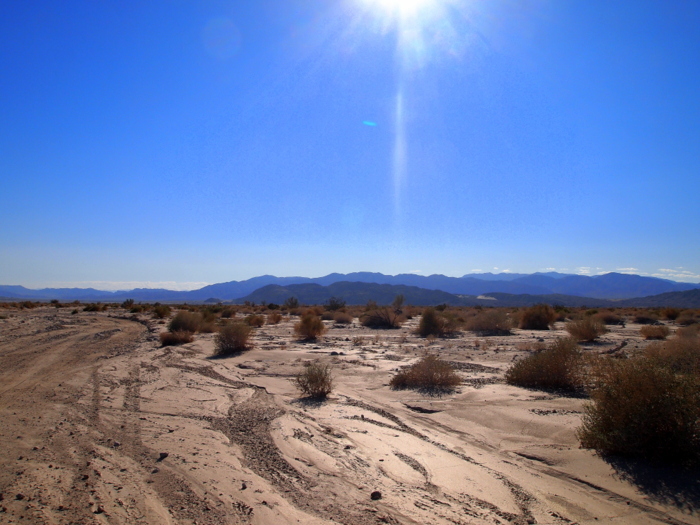 Most are rugged 4-wheel drives tracks that follow the desert washes and canyons. Driving these roads is a great way to see some of the lesser traveled parts of the park. Using a detailed park map (thanks Dave & Kelly for leaving it with us) we found a route that crossed through the middle part of the park following wide open washes and narrow twisting trails full of loose sand. 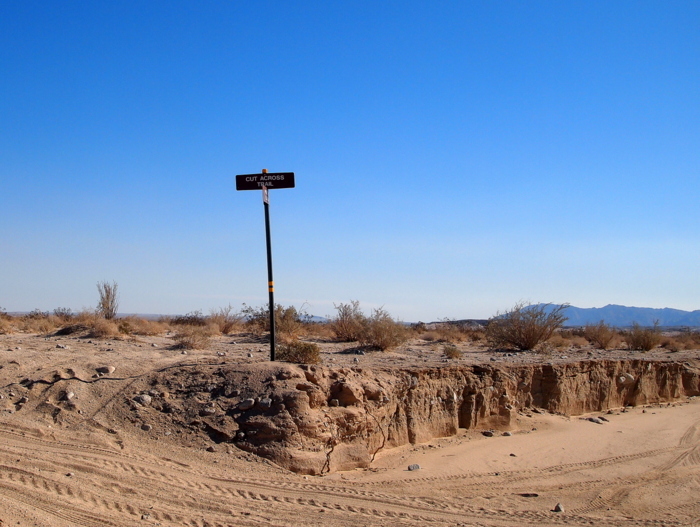 Look- a street sign in the middle of the desert! Our driving adventure also took us to south side of town where we stopped to see the rest of the metal animal sculptures that we had missed last time. There were lots and lots of horses and some fierce looking Saber Tooth Tigers (I think). 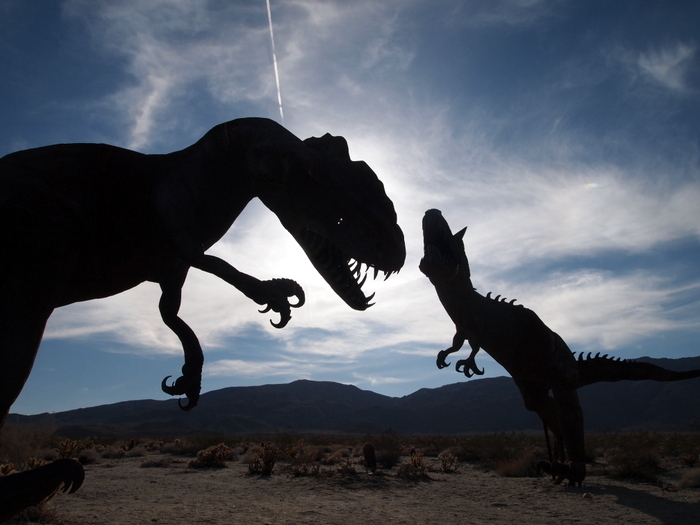 But by far our favorite were the Dinosaurs. Tim was especially excited to see them. In between exploring the sounding area we also contine to enjoy spending time with our neighbors Brian & Leigh. 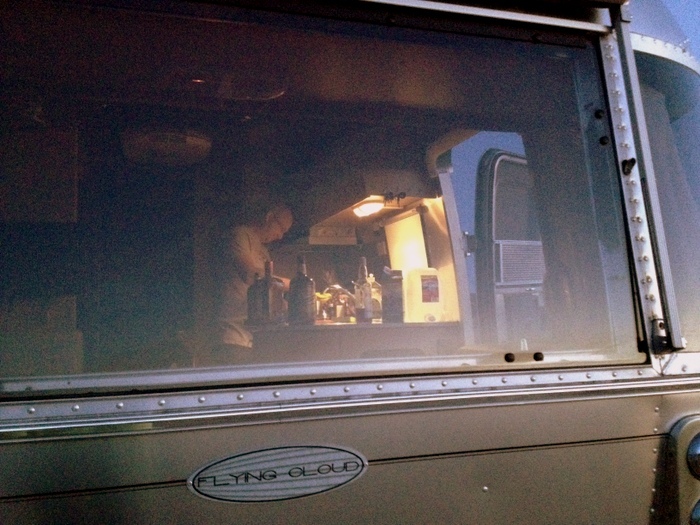 We’ve had a few more happy hours, a dinner at our place and some nice early evening dog walks. Phineas and Curtis seem to finally have gotten past the ignoring each other stage. Just this morning for the first time they played ball together. 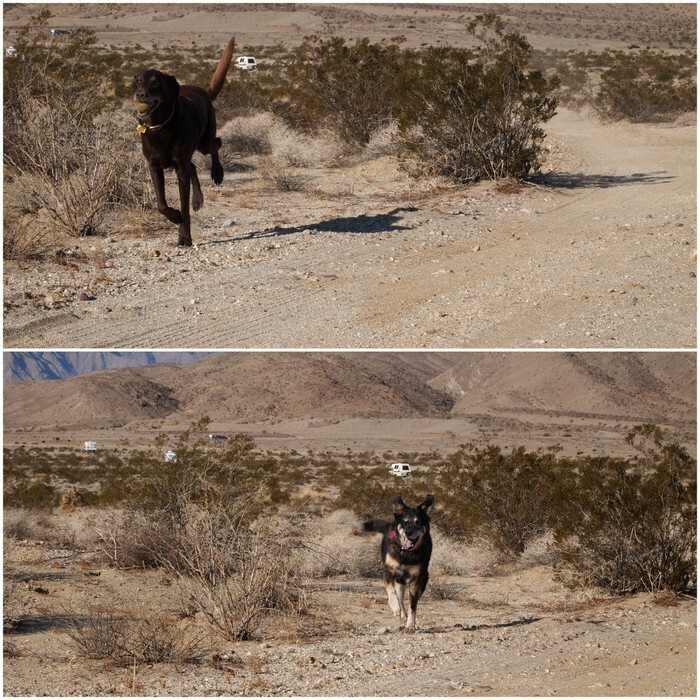 I couldn’t get a great picture of the two of them together except for this one of their backsides as they ran after the ball. As you can see life out here in the desert is good. This week we’ll finish up our stay with some final exploring in the areas of the park we have not yet visited. Truthfully, we’re a little hesitant to leave for fear that this wonderful spot has spoiled us for what’s to come. Awww Phin’s got a friend. Great pics. 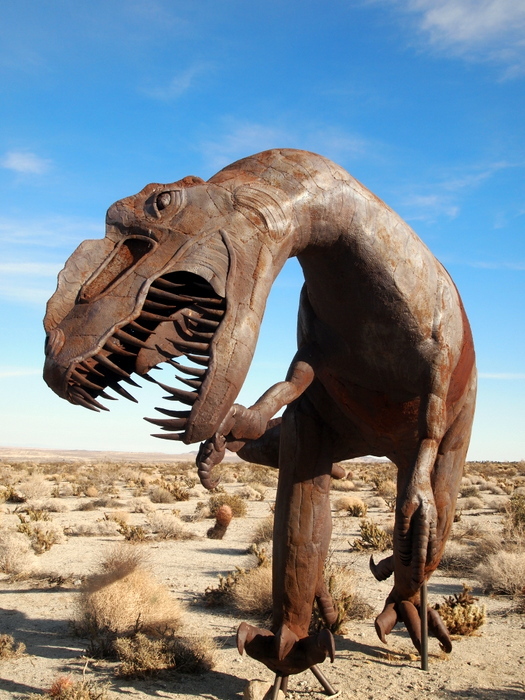 Love the dinos. Such a crazy environment out there. You are right the mtns don’t look that high from the pics. Miss you! Great pics and narrative as always.